added this component to our page to avoid styling the JSF messages. much the same way as the standard <h:selectOneMenu> . moving a slider with the mouse. 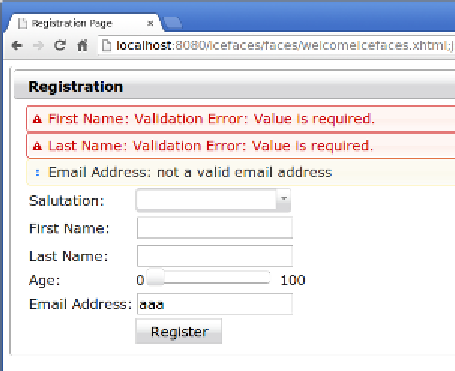 the method specified in its action attribute is automatically executed. In this section, we only scratched the surface of what is available with ICEfaces.